I consistently state our government is too big and it cannot handle all the responsibilities it continues to take on itself. President Obama has stated we, the American citizens, keep asking the federal government to do more. Even if you believed that, he could Just Say No. After you read this you will understand why. My friend Steve received a letter from the Internal Revenue Service (IRS). It stated that the five-figure amount of money he had overpaid on his 2014 tax return and had asked to be applied to his 2015 return was being confiscated for child support payments in New York. Steve had grown up in New York, but had left there 40 years ago. Any children he had left behind (none were left) would be fully grown. His own children were born and raised in California where he is a resident. Steve called me in a total and justifiable panic. Though he is also a CPA, he had no idea how he was going to get his money back. But it gets worse from here. As he tried to fight this he had ended up shutting down his business for the better part of a week. The BFS is an entity you should be aware of because they dispense all the checks for the federal government. It is a department of the U.S. Treasury. In 2012 it was formed by combining the Bureau of the Public Debt and Financial Management Services. They also make payments for state governments on collections of monies for delinquent child support. Steve was provided a number by the IRS for the Bureau and he was able to eventually speak to a person there. The person told Steve that the child support payments were tied to his social security number, but the name was not his. Despite that, the BFS would not stop the payment. The BFS informed him to contact the entity making the request for the money. Steve then contacted the NY Office of Temporary and Disability Assistance (NY OTDA) that handles these matters. He was told they have no claim under his name or his social security number nor that of his wife or ex-wife. They said he had to contact his local office. Steve was informed there were 62 such offices that he would have to contact to try and stop this fraudulent order to the BFS. NY OTDA told him his only recourse was a civil action in NY against the person receiving his money that they would not identify to him because that was protected information. Steve was now convinced his money was going out the door. Steve went back to the BFS and informed them NY had no claim. The BFS said that the only way to stop the payment was to have the agency that was requesting it cancel it. They said they could not stop nor delay a claim. 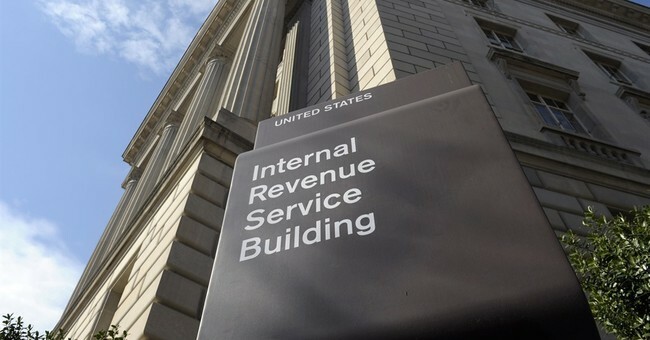 So far there is the original sin – the IRS letter gave Steve no time to clear this matter. And now there is the second sin. Despite clear evidence from a reliable source that there was potential fraud, the BFS was unwilling or unable to stop the payment of the funds to a questionable source. Can you imagine calling your credit card company, telling them there was a questionable charge on your statement and being told “tough, just pay it, we cannot do anything”? The third sin, a citizen being told that he cannot stop an improper payment that one agency said they never requested and the other one saying they need an agency request to stop, but no one, yes no one, will pick up a phone and clear this up. Steve and his wife had two remaining hopes. Steve knew me and his wife knew the District Director for their Congresswoman Karen Bass (D-CA). We both went to work. The BFS has direct lines for the media and Congress. I fought and got Marshall Kofler, manager of the media relations department. He assured me the BFS would help to remedy the situation. But I am betting that Maral Karaccusian and Claudia Aragon from Bass’s office had more impact than I did. Miraculously, Steve received a check for the full amount of his overpayment. This scary story of how the government can commandeer a citizen’s money without proper controls staggers the mind. In my discussions with Mr. Kofler, he repeatedly stated that before any money is disbursed that the BFS receives a certification from the party requesting the payment. 1. Why once the employee knew there was discrepancy why did they not stop the process? 2. Since the State of NY had not requested the disbursement, who certified the request? 3. What procedures has the BFS established in the last five years to counter fraud? The IRS has nearly a million fraudulent claims annually, and the CIA and Defense Dept. have been hacked. How have you changed your procedures? 4. You require that the person whose money you are taking has been notified by the agency that is requesting the confiscation. Steve received no letters from the State of NY. What did you do to verify there were any sent and received? Mr. Kofler has had no answer for any of these questions. The bureau, which is responsible for making most of the payments of the United States government, apparently has out-of-date procedures and lacks adequate controls for disbursements in our modern society. They take orders from other entities that can take your money if you have an overpayment with the IRS and apply it to a claim without proper verification. Steve was lucky and let’s make it clear it was luck. But if something like this happened to you, you may not be so lucky. He lost a week of his life chasing this and had to cancel a vacation. I told you to sit down before you read this. It is just scary.